Yesterday I cleaned a suite for Mrs M in Oakham. 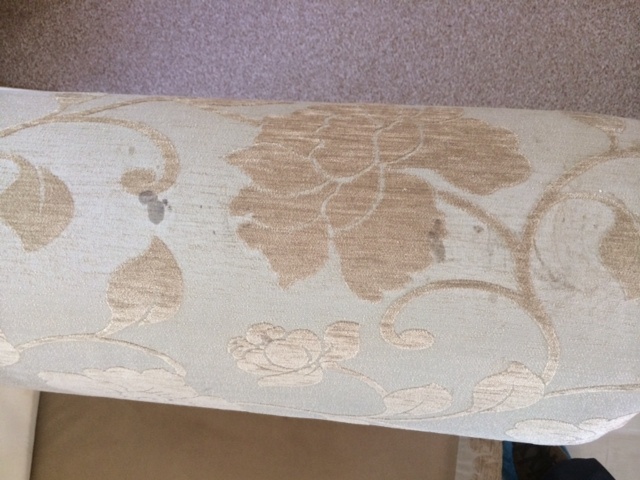 The suite had a number of unknown marks and stains to the arms and the seat cushions. The suite is from a well known upper end High Street retailer. The material has a flat weave but with a raised velvet like pattern. This is a good example of why its essential to visit your address to assess the type of upholstery prior to cleaning, rather than simply giving a price over the phone. 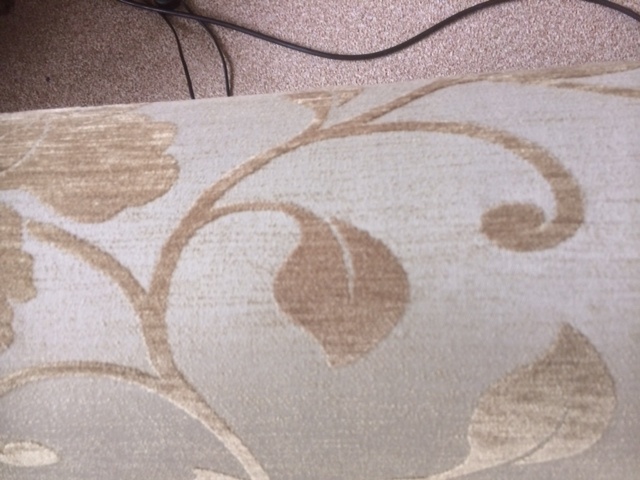 One of the most common fibres used in modern upholstery is Viscose or Rayon. It is this that is often used for high sheen pile patterns on furniture as it looks and feels great.. The problem is that it is a man made fibre made from natural materials such a wood pulp. The issue that is readily absorbs water and in doing so the structure of the fibre can be substantially weakened, which can lead to damage. Further as it absorbs the water the appearance can change as the fibre swells. These fibres can simply be damaged by spilling water onto them. So, can these materials be cleaned. Well, the answer is yes, but its vital that the fibre is identified correctly from the start and cleaned using appropriate solutions and techniques. 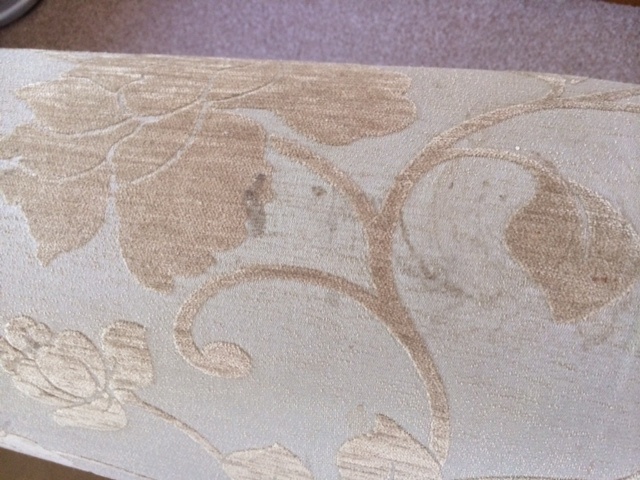 Clean these type of materials yourself or have them cleaned by untrained ‘cheap’ cleaners at your peril. Such a decision may turn out to be an expensive bargain. 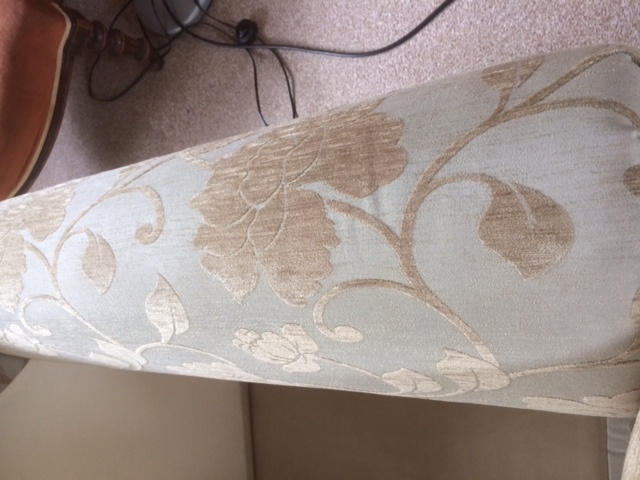 For Mrs M, the fabric was correctly identified, treated accordingly, and is now back to its former glory. Let The Rutland Cleaning Company restore your upholstery and sofas back to new.